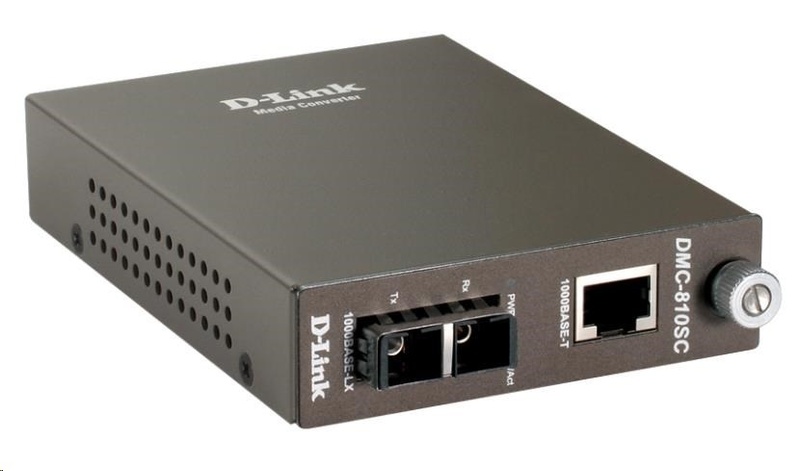 DMC-810SC: 1000BaseT to 1000BaseLX (SC) Singlemode Media Converter - včetně napájecího zdroje This converter converts 1000BASE-T Gigabit twisted-pair signals to 1000BASE-LX Gigabit single-mode fiber signals. Maximum fiber cable distance is 10km. 1 RJ-45 port and 1 fiber port (SC type connector) are provided..